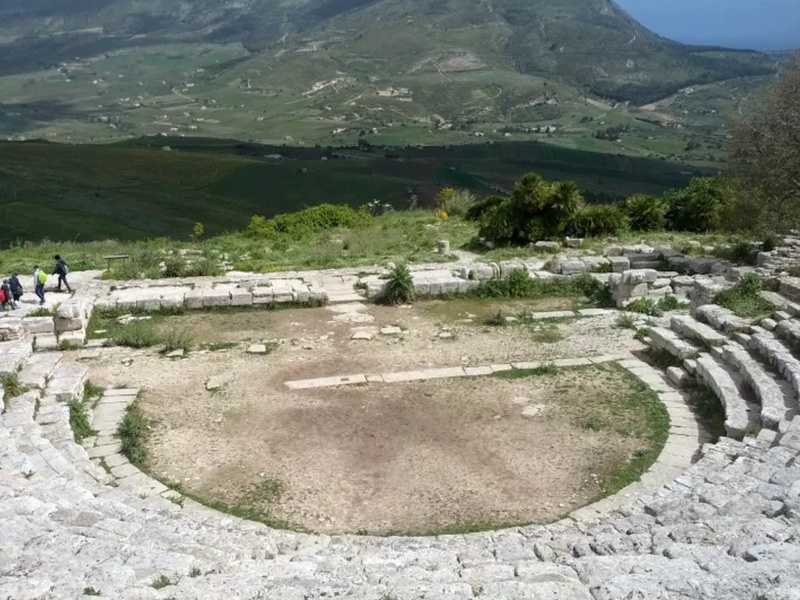 Segesta was a great suggestion! When we were planning our trip to Sicily we asked our friends who had been here for suggestions as to places to visit. 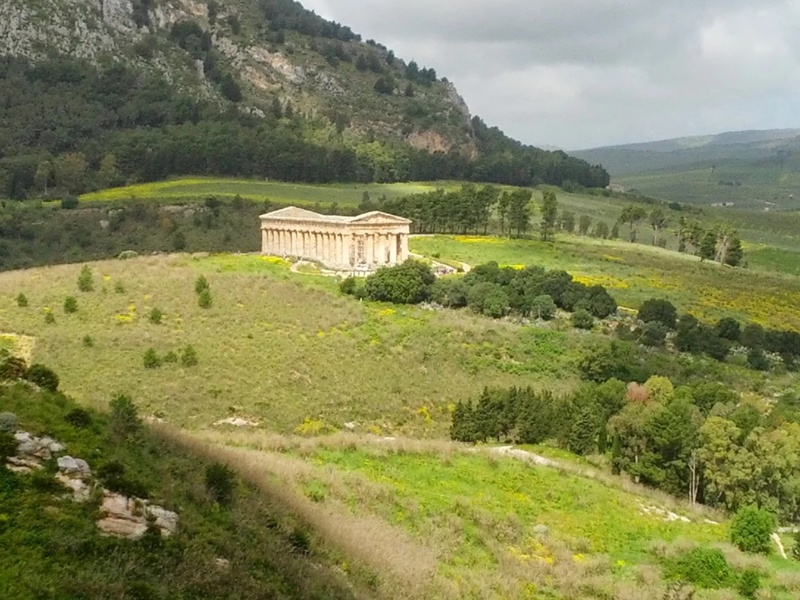 Segesta which is not far from Palermo was mooted as one of the best examples of Greek ruins outside Greece ,… along with those at Agrigento which is where we are off to next. We drove down. This was the first time we had used the car since we first arrived in Palermo and it was still parked in the Piazza where we had left it on Saturday night. Monday parking rules are different from the weekend and we were glad to get to it before the parking police did. The weeds on the hillsides were in full bloom – clover, daisies, thistles and brambles. Fortunately the sheep tracks are well signposted and the hills are dotted with tourists along the way. There were Greek, Carthaginian, Turkish and Roman ruins intermingled as different civilisations had used and reused sites and materials. Without the archaeological explanations it would have been difficult to make head nor tail of what we saw. We were very glad to have read up on the history before we came so that we could piece together the historical jigsaw of the place a little. The Greek amphitheatre had an amazing backdrop of the valley and mountains below. Hard to believe that it had once seated 4000 people. They must have been much smaller than us! The Greek temple with Doric columns was never completed. We wonder if it’s building was interrupted by the Carthaginian takeover. More walking tomorrow. Spending the night at a little B&B in the old end of town in Agrigento ready to walk some more ancient paths and learn a bit more ancient history.